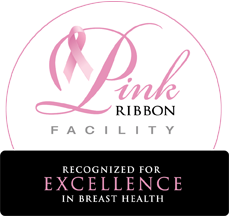 Mammography is a breast cancer screening method that uses low-dose X-rays to create images of the breast from multiple angles, using a special apparatus that is pressed firmly against the breast, flattening the tissue for better imaging. If the mammogram shows an abnormal area of the breast, your doctor will order an ultrasound or MRI. Although lumps are usually benign (non-cancerous), the only way to be certain is to perform these additional tests. If these tests show that the mass is solid, your radiologist may recommend a biopsy, a procedure in which cells are removed from a suspicious area to check for the presence of cancer. Fewer call-backs. With 3D imaging, there is less of a chance that you will need to come back into our office for additional testing. Simple detection. This technology shows the inner structure of the breast without shadowing and distortion. Faster detection and improved imaging. Suspicious lesions can be ruled out as benign. Increased comfort. 3D images can be created with just a single compression. Additionally, according to a study in the Journal of the American Medical Association, 3D technology can find significantly more invasive cancers in a woman’s breast than traditional 2D technology. This particular study also found that this technology reduces the number of false alarms that require women to undergo additional testing for breast cancer. Ultimately, this minimizes costs and reduces anxiety among women. If you’re concerned about when to start breast cancer screening and how often to repeat it, work with your clinician to make an informed decision. Together you can decide what’s best for you based on your personal preferences, your medical history and family history, and your individual breast cancer risk. During a mammogram, a technologist positions and compresses your breast between two plates that are attached to a highly-specialized camera. This camera takes pictures of the breast. This technique is repeated on the both breasts. Mammography is more uncomfortable than painful for most women, and the sensation lasts for only a few seconds. The compression is necessary to flatten the breasts, reducing their thickness, so the X-ray beam penetrates as few layers of overlapping tissue as possible. Mammography involves little radiation exposure. In fact, The American Cancer Society notes that the dose of radiation received during a screening mammogram is about the same amount a person gets from their natural surroundings in an average 90-day period. Will my insurance cover the costs of a mammogram? Most insurances cover routine screening annually for women over the age of 40. However, 3D mammography is an advanced technology that requires additional billing. At this time, not all insurance plans are covering the additional charge for 3D mammography. Some insurance plans have deemed the technology as ‘experimental,’ while other plans do pay for 3D. This is fairly common when a new technology is introduced. A Woman’s View has made the decision to accept what insurance pays for the additional charge of 3D mammography and not pass along any additional costs to the patient. If you receive a bill from A Woman’s View or an explanation of benefits summary from your insurance provider reflecting a balance owed for 3D screening, please contact our office so that we can adjust the balance on your account. Do not wear powders, lotions, perfumes or deodorant to your appointment. If you have had a previous mammogram elsewhere, please sign a release for your records at your earliest convenience so that we may request your scans prior to your appointment. Your annual mammogram must be at least one year from the date of your previous mammogram.